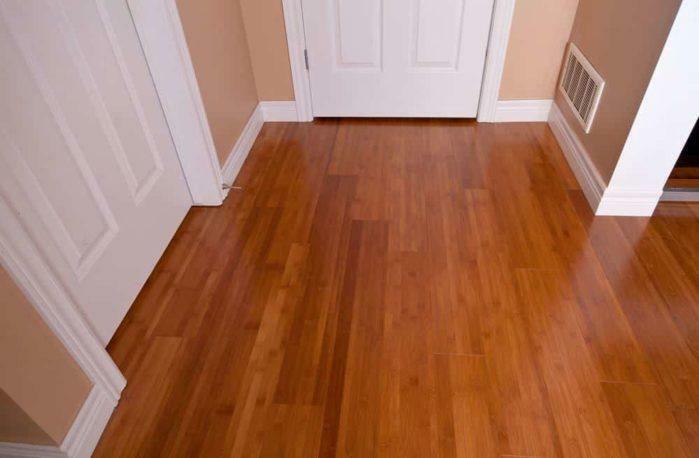 Bamboo Vs. Hardwood: Which is the Best for Flooring? 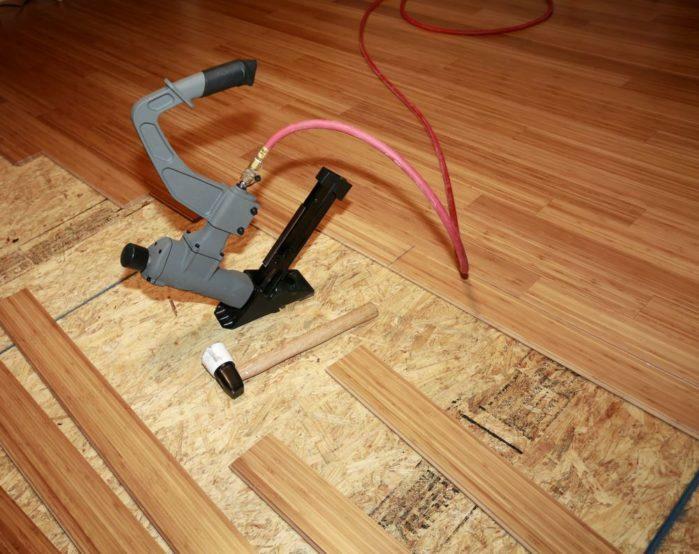 At first, you may think that bamboo and wood flooring may be quite similar. They may have the same feel, look, and share in some attributes, but they are different in many aspects. You see, bamboo is a species of grass while wood comes from harvested trees and lumber. And because of this, some characteristics set them apart. So, how will you choose between bamboo vs. hardwood ? Here’s how. There are a lot of species to choose from when it comes to hardwood flooring. Each one of them has this authentic appearance, feel, and pattern. Moreover, when you select various cuts of wood, they will have different grain consistencies. Plus, you will also choose from different grades, which will either be disparate or congruous. So, hardwood flooring will provide you a lot of freedom when selecting the exact look that you want to achieve. You can also pick from various options and species. All you have to do is to find out the right style for your home. On the other hand, bamboo also has different species. However, they can produce a look that is very consistent. It may be quite similar to hardwood, but it also features discrete horizontal lines going through the surface. Also, its color is very distinctive. It has this soft golden hue. However, you can temper this to a darker color by carbonization. A lot of wood shops do not sort and grade bamboo for a feature and color homogeneity. So, you can look for variations from plank to plank when it comes to bamboo. Some people love its unusual look. However, others don’t like how scattered and inconsistent it looks. Hardwood materials would roughly cost $5 per square foot. However, plywood and softwood may be cheaper. For exotic or rare finds, their price may go as high as $10 every square foot. 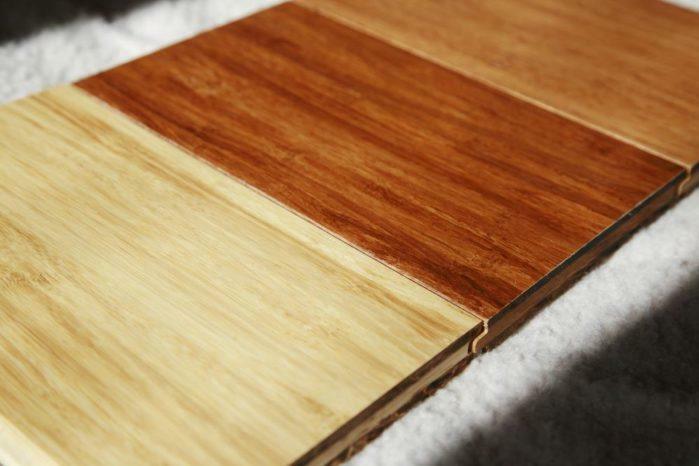 For bamboo materials, they may have a consistent price of $5 each square foot. However, some stores may offer a lower price. But, by spending less, you may have a lower quality flooring. Natural bamboo may garner a hardness rating of approximately 1,380. So, it is harder than any other hardwoods available on the market today. But, a carbonized bamboo may reach a score of around 1,180. You see, the harder the materials you choose for your flooring, the better they can avoid any dents. 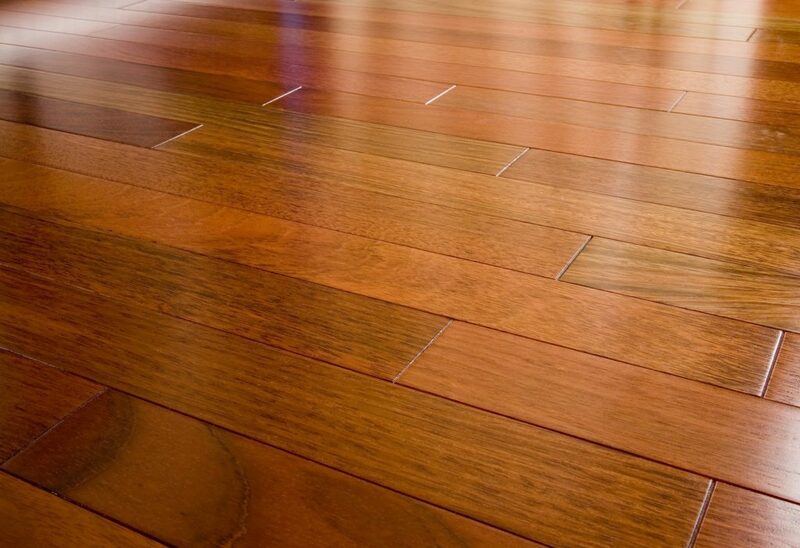 Most bamboo and hardwood materials have a durable and factory-created finish, making them resist cracks and dents. 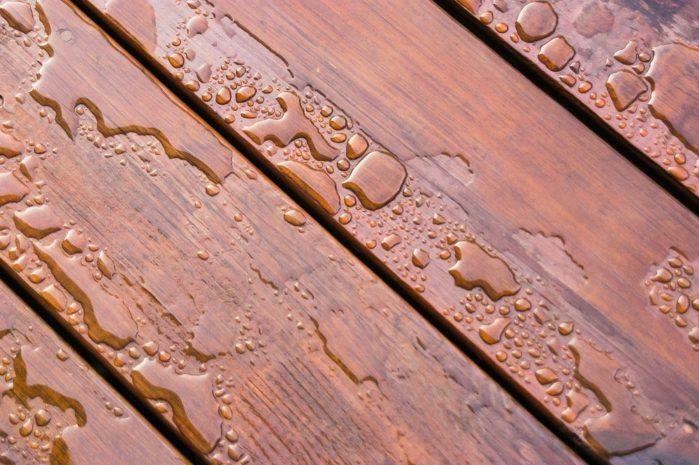 When it comes to moisture, wood is very vulnerable to damage caused by moisture. So, you should avoid humid conditions. Bamboo is also susceptible to moisture. However, it somewhat swells lengthwise. It makes it quicker to control. Overall, bamboo is resistant to insects and molds. Bamboo’s hue may range from white to yellow or from honey to gold. However, when you carbonize it, it may yield a coffee or chocolate tone. For pre-stained choices, it may go with various hues. But, bamboo floors have soft grains that don’t display harsh colors. So, the color you select may be the dominant tone of the flooring. It can match well in a room with lots of colors. On the other hand, the same goes to the hardwood. Some woods like mahogany and maple have subtle colors. However, for some, including birch and hickory, it may be more on the dramatic side that can make the colors of the room pop. Also, oak has a more hue contrast than bamboo. Both hardwood and bamboo floors have a groove and tongue. Thus, their installation process is quite similar. But, wood can come in different lengths and widths. So, it can provide you a more creative approach when it comes to the flooring. For bamboo, it will have more consistent lengths and widths. 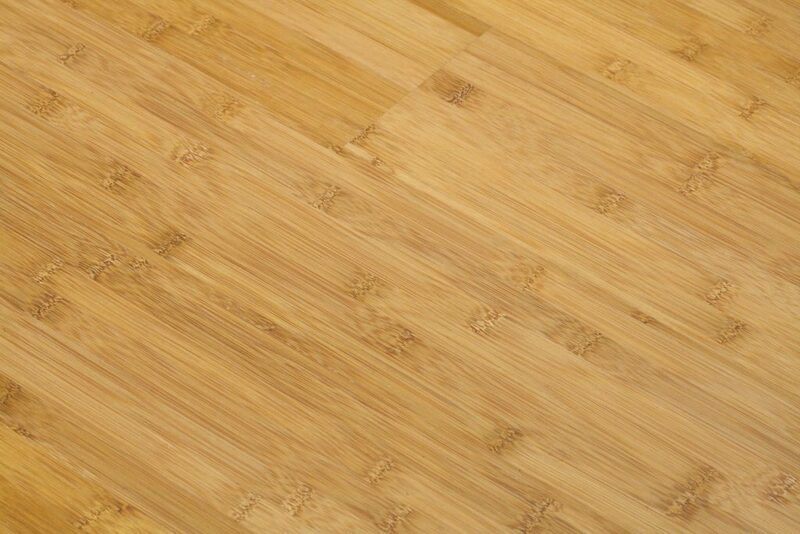 Bamboo is less delicate to moisture than hardwood. However, when you wet-mop bamboo, it may be prone to moisture damage. So, wet-mapping is highly discouraged for bamboo flooring. The most excellent way to maintain the quality of your floor is to get rid of dirt and dust regularly using a vacuum. Also, you may apply a water-free cleanser. Bamboo may be very abundant and durable. Plus, many builders use bamboo to build houses for centuries. However, when selecting between the two materials, you may need to consider its appearance, installation process, cost, and wearability. The two have equivalent values. However, hardwood may offer you a variety of grain color and pattern. Plus, there is also a lot of species of wood than bamboo. Both bamboo and wood have different pros and cons. Therefore, it is up to the user which material is right for his flooring. MDO vs. MDF – What’s the Difference? – Trust me – this is important!